Discover America is the US tourism board within the UK, encouraging travel to America with inspirational and useful online content. Working through advertising agency JWT, I started on the Discover America social account in May 2012. I built the Facebook and Twitter platforms from scratch, developing the online community and creating engaging content. 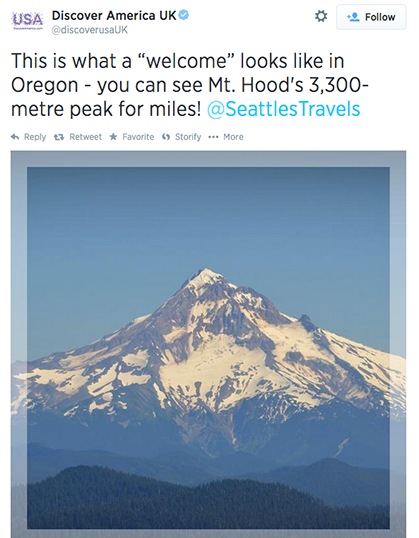 I helped shape Discover America’s online voice within the UK and worked alongside influential travel bloggers and journalists to boost the brand’s profile. After two years working on the Discover America account, I developed a key understanding of the UK travel industry and a unique insight into the most desirable destinations in the US. 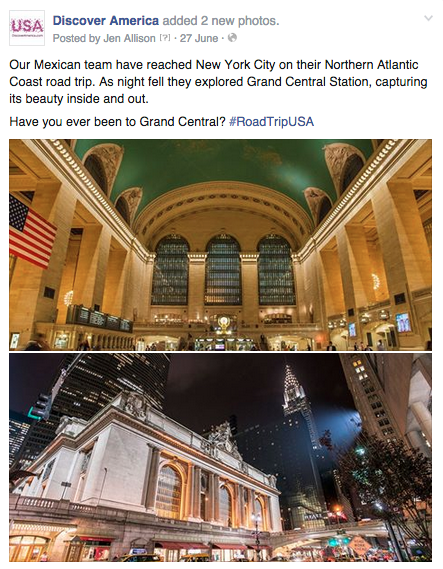 I learnt how and why people travel to the USA, and how social media can drive and influence tourism.